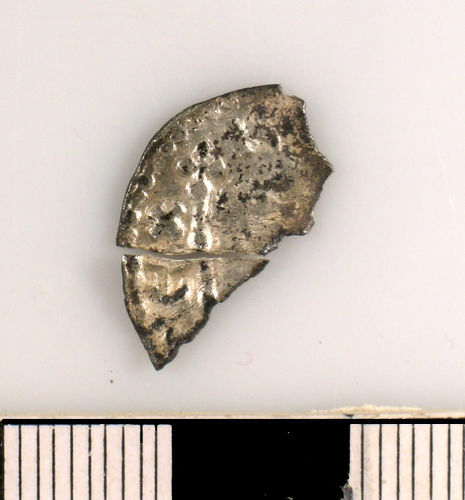 A silver cut and damaged halfpenny of Henry II. The coin survives in two pieces and 25% of the cut half has been broken off. Obverse description: Crowned bust facing left - holding sceptre. Reverse description: Short cross with four pellets in each quarter. 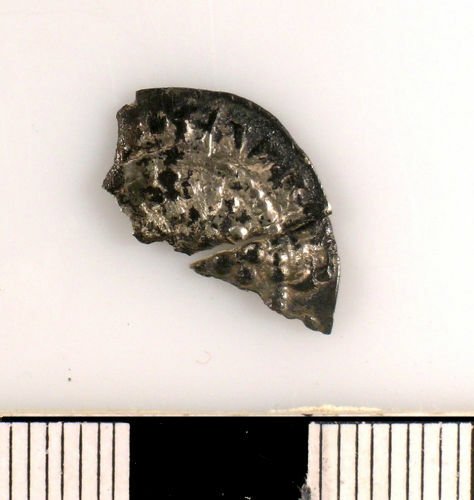 A Medieval, silver, cut halfpenny of Henry II, cross-crosslets (Tealby) type. The coin is broken roughly in half and now resembles a cut farthing.